The attempts in various states to skew the Electoral College vote toward Republians is so brazen, so outside of accepted partisan norms, that the larger political media has been slow to cover it. There’s a practical reason. These bills come up, in some form, in lots of legislatures. They go nowhere. A backlash stopped the GOP in Pennsylvania from passing an electoral vote-split plan in 2011. Maybe a backlash will stop it this time. Why cover it? It’s just the strangest question. Lots of political stories end with the proposal being blocked or altered. The media’s coverage helps determine this. 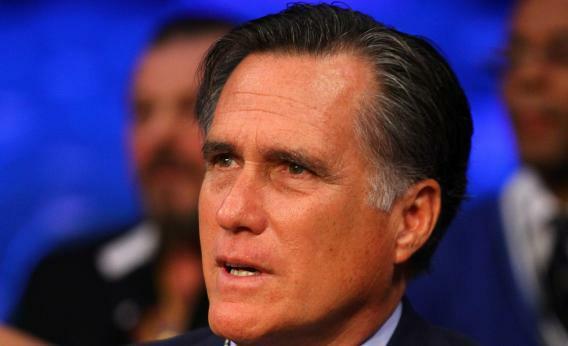 Media outlets spent millions of dollars in 2012 covering the campaign of Mitt Romney, who didn’t end up being elected president, and who’s quickly become a nonentity. Should they refund their expenses because the Romney presidency never happened? This brings me to the belated, high-placed local media coverage of the Republican elector-rigging bills in Michigan and Virginia. The Detroit News gives it a long lead feature. The balance-seeking reporter grapples with the plan. The switch would have given Mitt Romney a majority of Michigan’s 16 electoral votes last year, even though Obama beat him by a nearly 450,000 popular vote margin here, according to Michigan Democratic Party Chairman Mark Brewer. Why is this “according to” a Democrat? It’s a fact. The 2011 gerrymander designed five safe Democratic seats and nine lean-Republican or safe-Republican seats. We can crank up the WayBack Machine and imagine a 2012 election in which Barack Obama campaigned harder for the 7th and 8th districts, which he narrowly lost. But it’s just true that this scheme would have helped Romney. Here’s the advantage with on-the-other-hand reporting. The News’s Gary Heinlein talks to Rep. Pete Lund, who introduced this legislation before and wants to introduce it again. Lund explains why a larger GOP majority didn’t move in 2012. It got no traction last year. There were people convinced Romney was going to win and this might take (electoral) votes from him. My emphasis. Lund just states this as a sad accident of history, unaware that it’s hugely damaging to his cause. He’s admitting that the point of the plan is to give electors to Republicans. That turns this from “a controversial idea that some say would hurt Democrats” to a bill explicitly designed to hurt one party, and its urban base.